Thomas Totney (1608-1659), born in Lincolnshire and largely based in London, was a goldsmith who, following a mystical experience in 1649, changed his name to TheaurauJohn Tany and proclaimed himself a herald of the restitution of the Jews to Jerusalem. Travelling around England and the Low Countries issuing broadsides and more extensive works of prophesy, Tany was for a long time overlooked by historians as just another ranter of the English Civil War period. More recently his writings and impact have begun to be re-evaluated, in no small part due to the dedicated researches of Ariel Hessayon, and a picture has emerged of an extraordinary figure worthy of his place in both the histories of Western esotericism and of English Radicalism. It has also become apparent that Tany was read by early British Swedenborgians, a fact that further elucidates the complex relationship between a nascent Swedenborgianism and the radical thought of the seventeenth and eighteenth centuries. 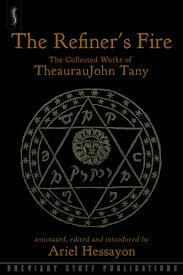 To mark the occasion of the publication of The Refiner’s Fire: the Collected Works of TheaurauJohn Tany by Breviary Stuff Publications, which features reproductions of material held in the Swedenborg Society Archive, the editor of the volume, Ariel Hessayon, will be in conversation with historian and activist John Rees, discussing Tany, English Radicalism and their connections to Swedenborgianism. ARIEL HESSAYON is a Reader in the Department of History at Goldsmiths, University of London. He is the author of ‘Gold tried in the fire’. The prophet TheaurauJohn Tany and the English Revolution (Ashgate, 2007) and co-editor / editor of several collections of essays on Scripture and Scholarship in Early Modern England (Ashgate, 2006); Varieties of Seventeenth- and early Eighteenth-century English Radicalism in Context (Ashgate, 2011); An Introduction to Jacob Boehme: Four Centuries of Thought and Reception (Routledge, 2013); Gerrard Winstanley: Theology, Rhetoric, Politics (special issue of Prose Studies, 2014); and Jane Lead and her transnational legacy (Palgrave Macmillan, 2016). He has also written extensively on a variety of early modern topics: antiscripturism, antitrinitarianism, book burning, communism, environmentalism, esotericism, extra-canonical texts, heresy, crypto-Jews, Judaizing, millenarianism, mysticism, prophecy, and religious radicalism. His essay ‘Jacob Boehme, Emanuel Swedenborg and their Readers’ was published by the Swedenborg Society in The Arms of Morpheus (2007). John Rees is a journalist, author, historian and activist who has been a member of the National Executive of the NUS and was a founder of the Stop the War Coalition. Rees has edited and written for many journals and has also made documentaries for television. 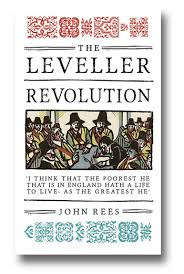 His books include The Algebra of Revolution: The Dialectic and the Classical Marxist Tradition (Routledge, 1998); Imperialism and Resistance (Routledge, 2006); (with Lindsey German) A People’s History of London (Verso, 2012); and The Leveller Revolution: Radical Political Organisation in England, 1640-1650 (Verso, 2017).